There are so many ways to get involved in the legislative process, and every way makes a difference. 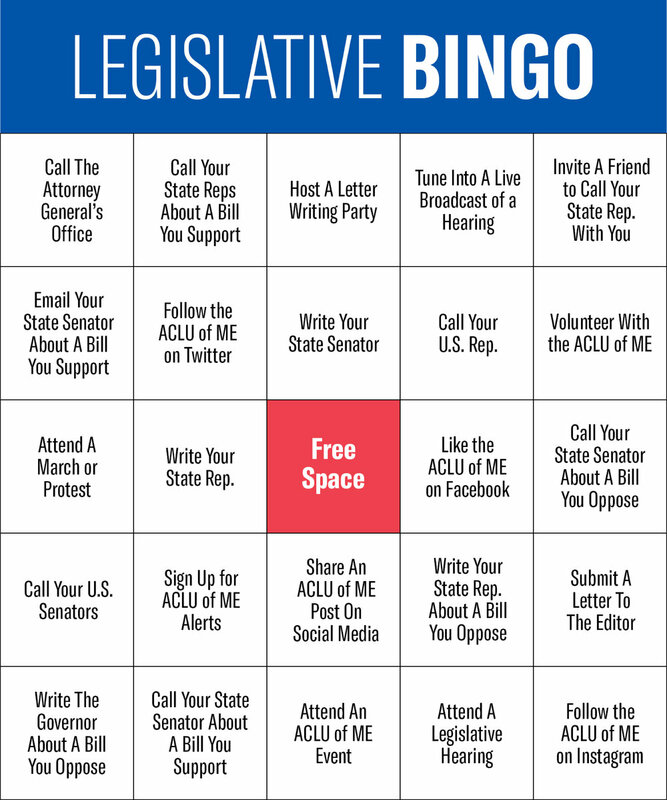 Here’s one way to track your advocacy AND get some fun stuff: Complete the tasks on our Legislature Bingo card, and once you have a BINGO post a picture on Facebook, Twitter or Instagram, tagging the ACLU of Maine. At the end of the session, we’ll select a lucky person at random and send you some ACLU swag!